Honey and lime-marinated tangerine and grapefruit sits atop a warm puff-pastry saucer. Who doesn’t love crisp?! Made with either wheat flour or gluten-free flour…yup. Taste a simple square of deliciousness – not too sweet lemony goodness with a buttery shortbread crust. Not too rich and not too sweet, this chocolate pie with a chocolate graham cracker crust melts in your mouth. Simple and divine, Ru’s lemon tart with a butter crust is a perfect daytime or evening delight! 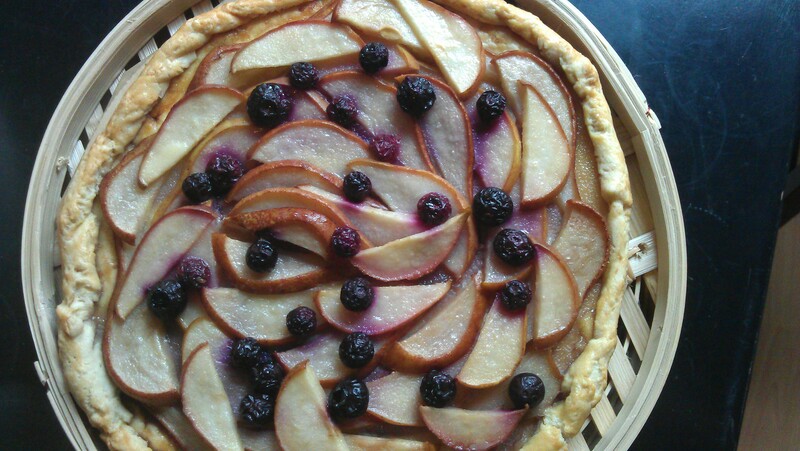 A delicious combination of organic, heirloom apples, topped with a lattice crust. Custom pies available by request. Email Ru at ruspieclub@gmail.com to place your order.